The frenzy story of Eden Hazard to Real Madrid in the last few days did not make the Blues Fans worry. 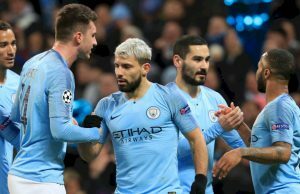 It turned out that their reason was right because of a beautiful night at Stamford Bridge on Tuesday (9/4/19) Chelsea won the London derby 2-0 against West Ham United. It was special that Eden Hazard scored the second goal of the night and lifted the Blues to third place in the Premier League. 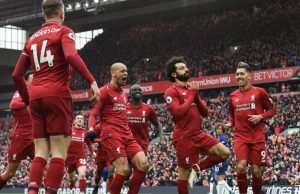 The latest standings after Chelsea’s game against West Ham are Liverpool’s 82 points with 33 games, City’s second place 80 points with 32 games, Chelsea 66 points with 33 games, Spurs 64 points with 32 matches, Arsenal 63 points with 32 matches and Manchester United 61 points with 32 matches. Observing the standings looks very tight competition between Liverpool and City, two clubs that still have open opportunities to win champions. While the other 4 clubs, Chelsea, Spurs, Arsenal and Manchester United have a difference in points that are close to each other also compete between them to reach the top 4 position. That night Stamford Bridge was filled with about 40 thousand spectators who attended watching the London derby. Sarri played Hudson-Odoi when Chelsea beat Brighton & Hove Albion to make the Italian coach again win the hearts of the Blues supporters. 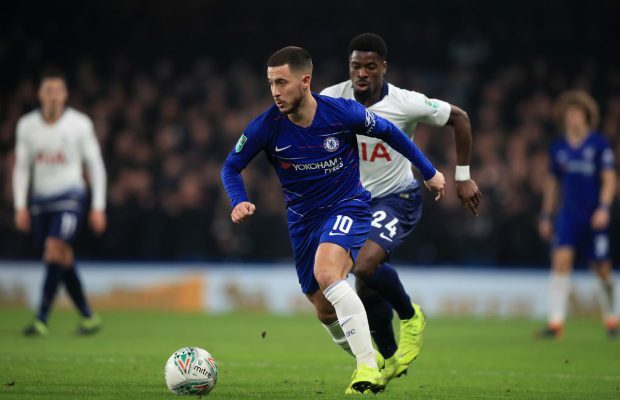 The decision to make Hudson-Odoi as a starter was considered by most Chelsea supporters as the right formula. Likewise that night Hudson Odoi started with Eden Hazard and Gonzalo Higuain as Chelsea’s attacking trio in a 4-3-3 formation. They were supported by a midfield trio, Jorginho, Kante and Ruben Loftus-Cheek. While Kepa Arrizabalaga under the crossbar with the back line quartet were David Luiz, Antonio Rudiger, Cesar Azpilicueta and Emerson. Chelsea only controlled the dominance of the game by 54 percent but had 16 kicks towards the goal. Seven shots were right on target and there were 2 goals. In addition there are 7 corner kicks that confirm that they play very attacking. The hosts opened the scoring in the 24th minute when Hazard showed great skill to get past three defenders with amazing speed and sent a low shot past West Ham goalkeeper Lukasz Fabianski. This fantastic goal illustrates the quality of a Hazard. 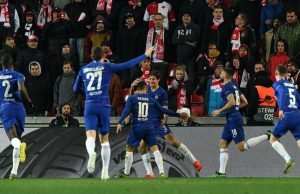 Chelsea completed their 2-0 victory when Hazard’s right-footed shot from the right of the box to the bottom left corner of the Chelsea goal could not be dammed. The Belgian’s performance was undoubtedly the main subject after the game that night. Maurizio Sarri could not hold back his praise to Hazard. “Hazard of course played a beautiful match. He scored an incredible goal. When Hazard can play as he did in the last two games of course it’s easier. We can win against each team,” Sarri told the club’s official website. Of course Sarri welcomed this victory with joy and for the time being did not think about Eden Hazard’s move to Real Madrid this summer. Next Story → Will the fate of Lazio rising star will end in the 2018-2019 season?